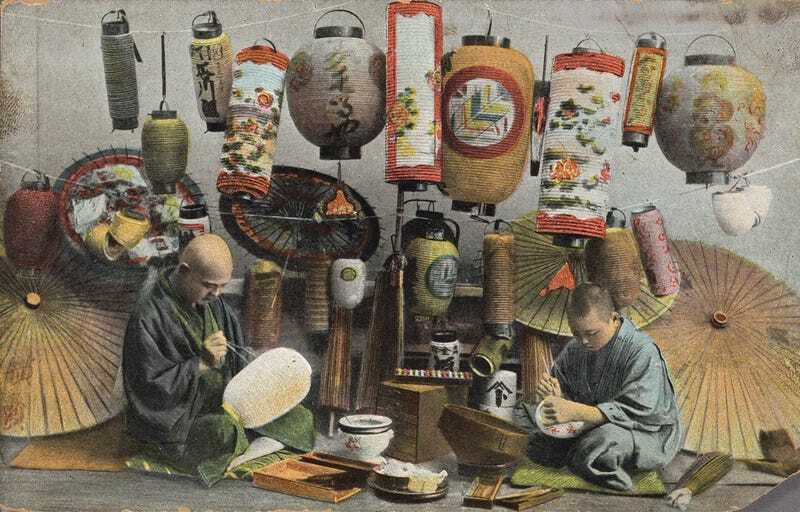 It’s easy to fall for stereotypes when you’re thinking about Imperial Japan, especially when the Internet offers plenty of dreamy, romanticised,hand coloured photos of geishas, samurai, craftsmen, and peasants, all wearing traditional clothes and posing in medieval scenes. 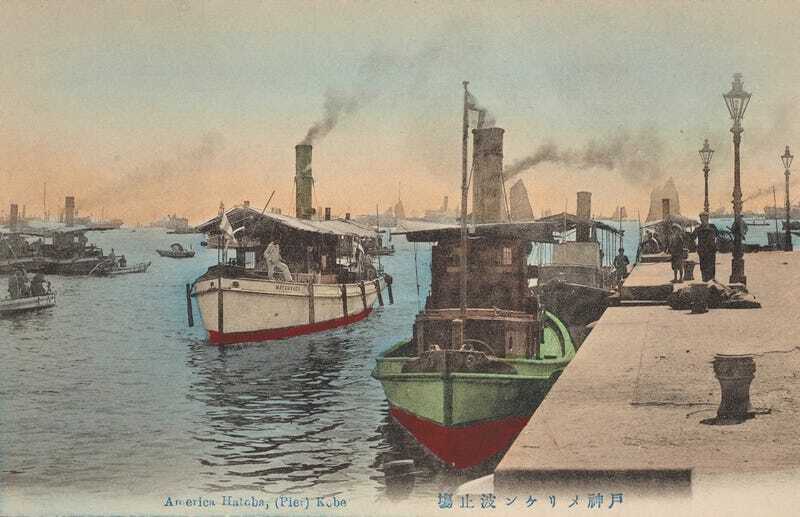 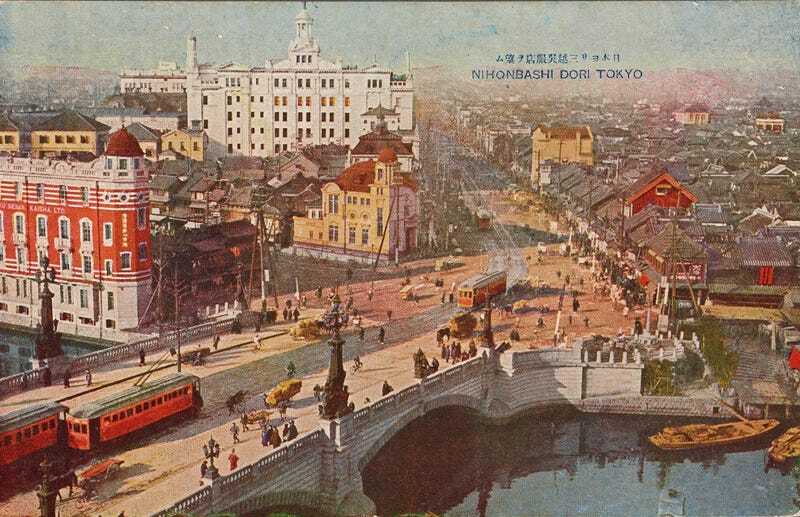 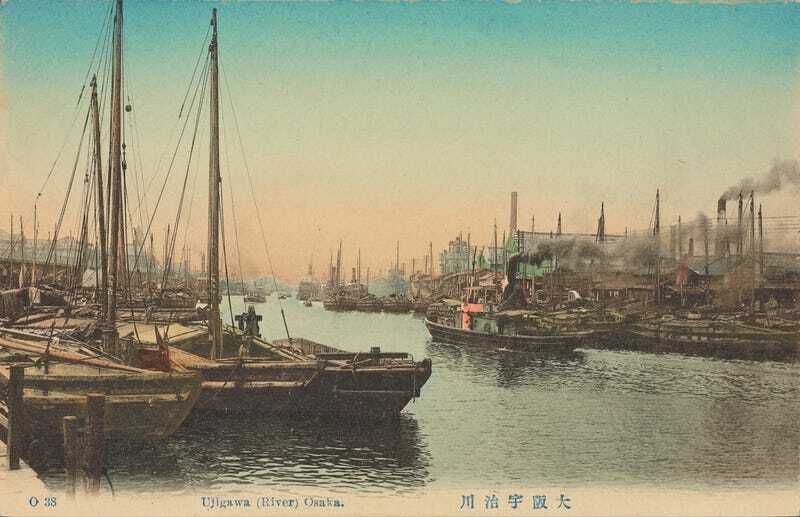 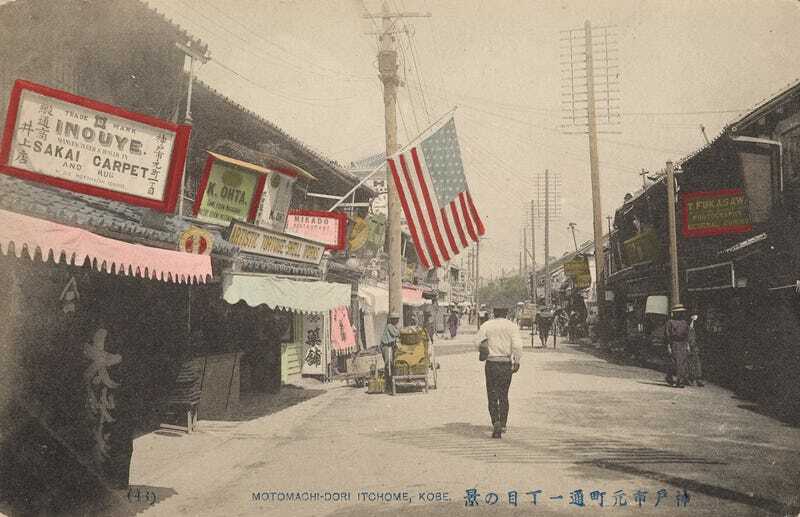 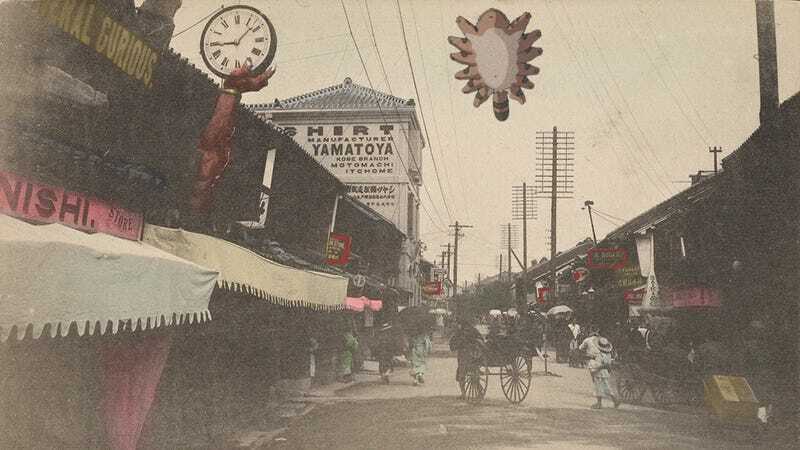 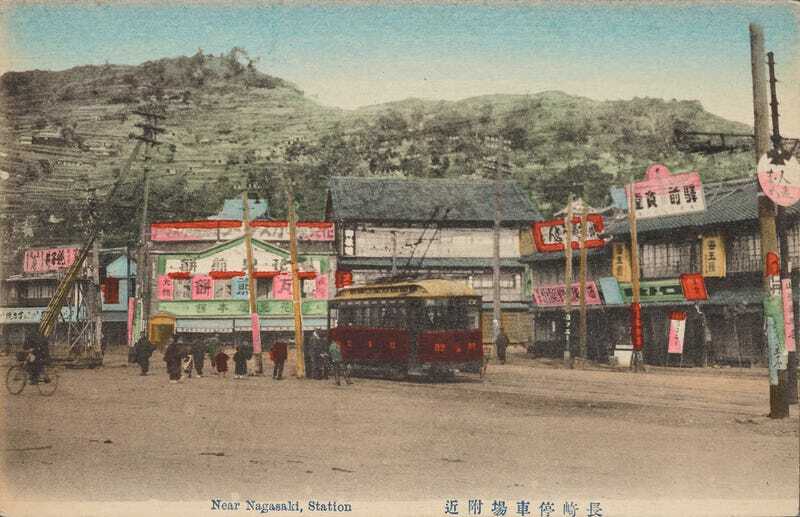 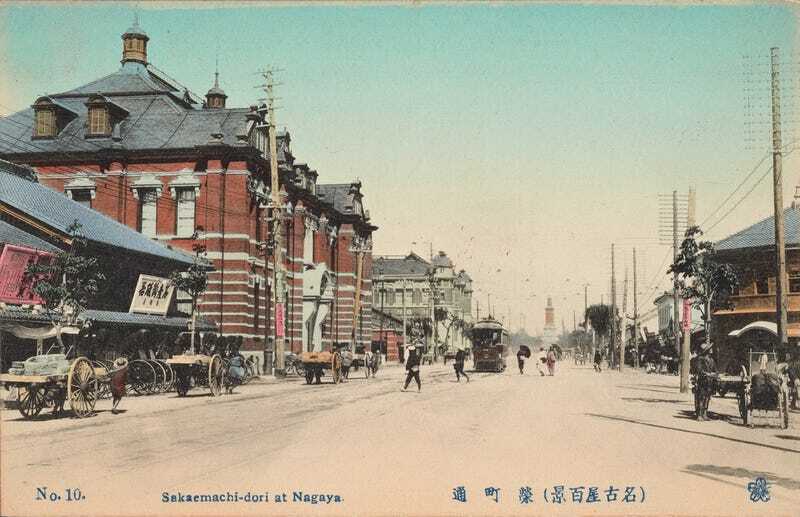 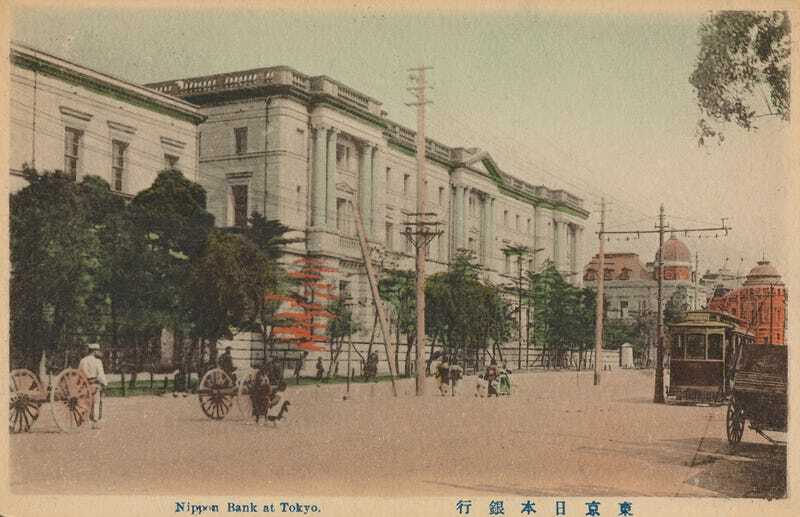 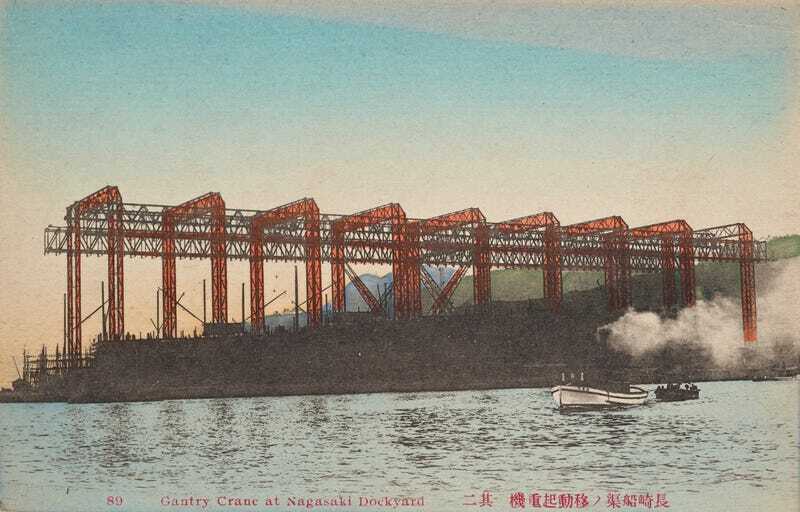 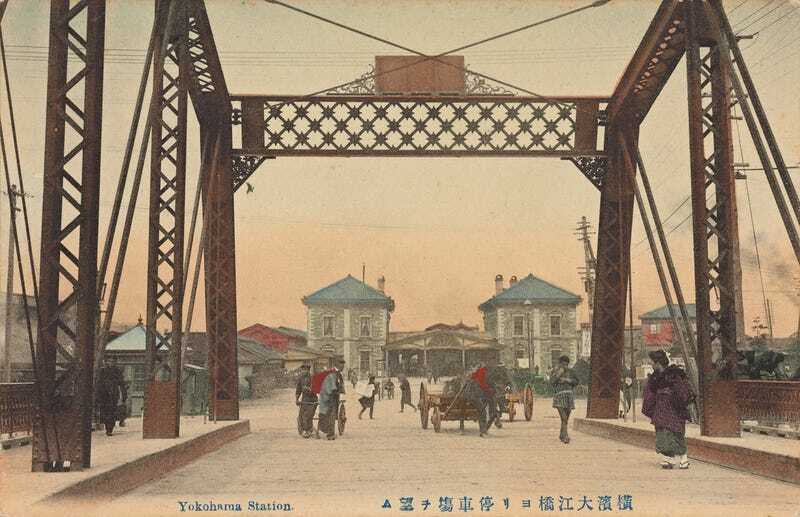 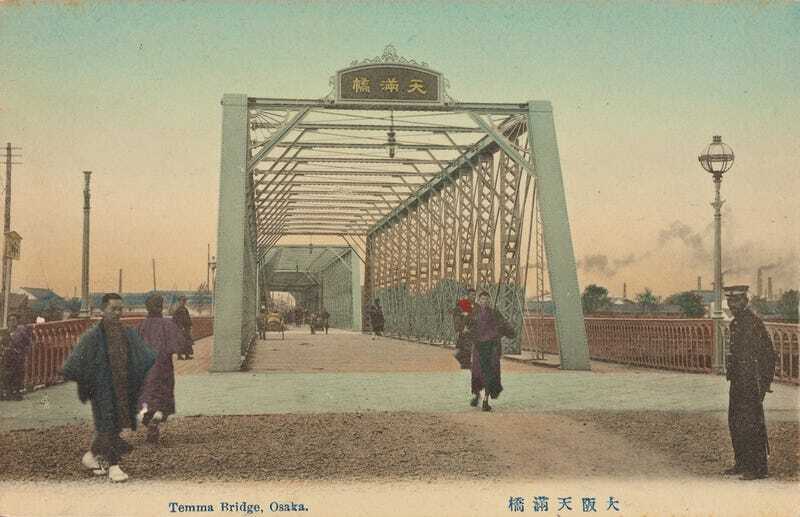 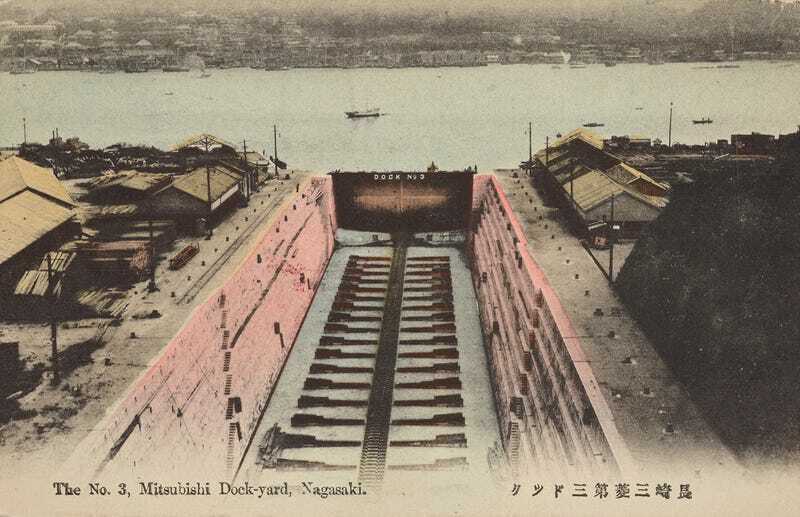 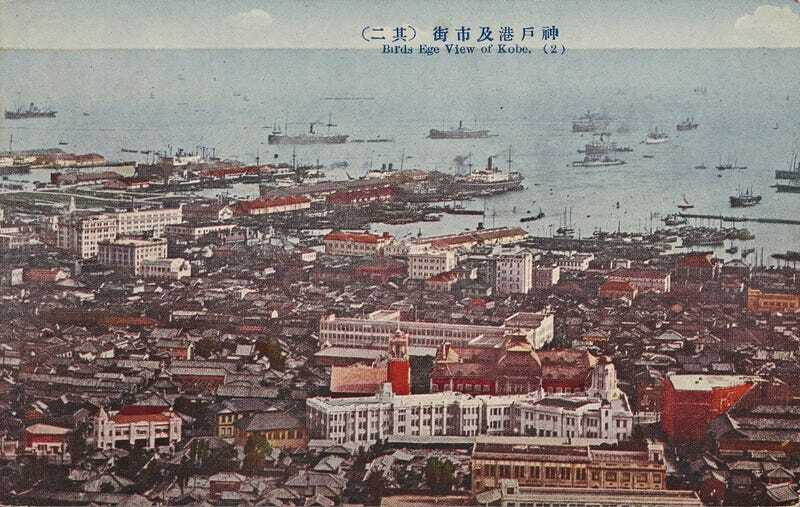 This set of colour postcards, all issued in the first decades of the 20th century, show a different pre-war Japan. 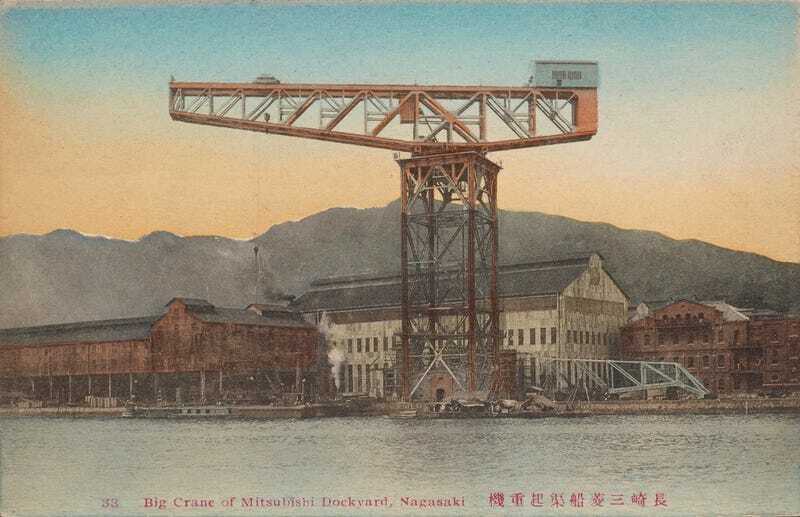 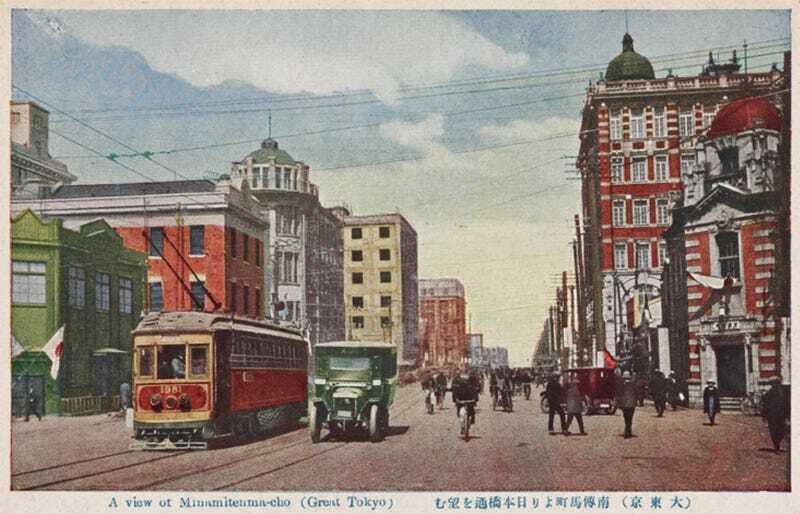 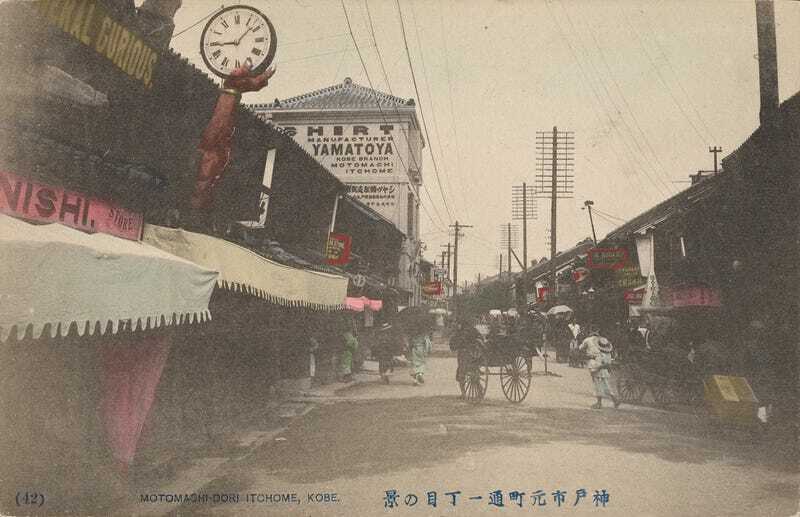 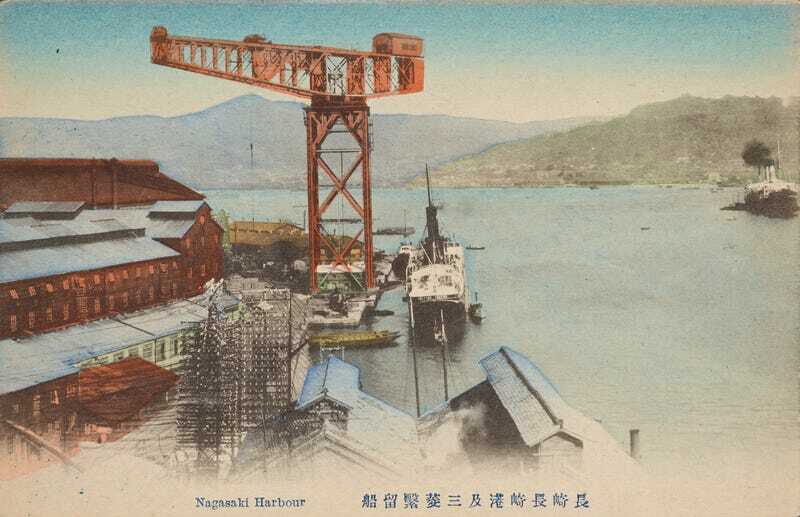 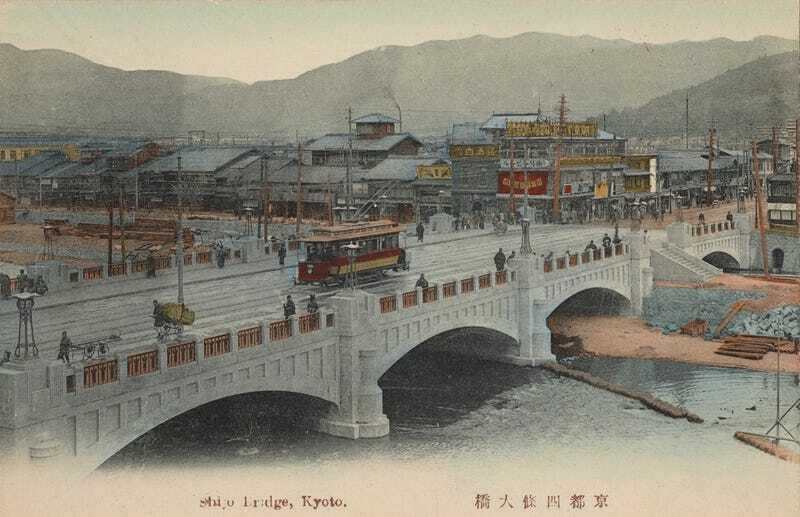 The signs of technological progress are everywhere: overhead power, telegraph or telephone lines, utility poles with multiple arms, trolley cars, steam boats, huge cranes, steel bridges, factories, and modern office buildings are all part of Japan’s cityscapes. 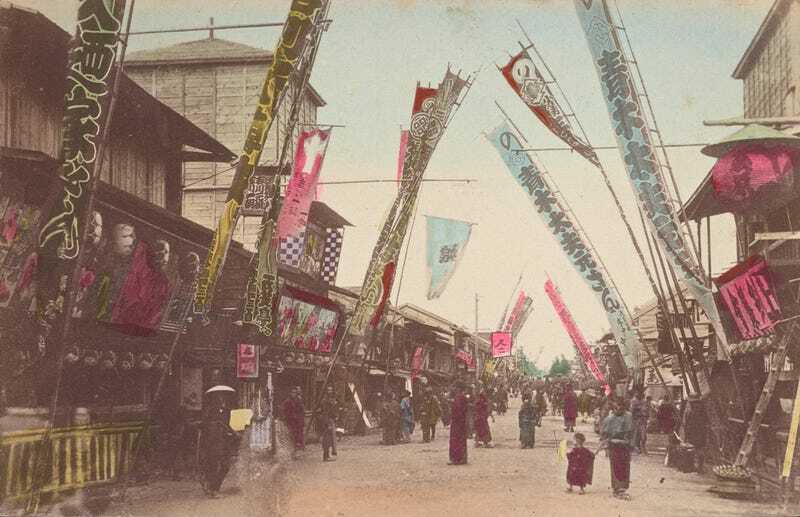 And the visual effect of these colored postcards make me feel like I might understand where the best Japanese anime movies have their roots. 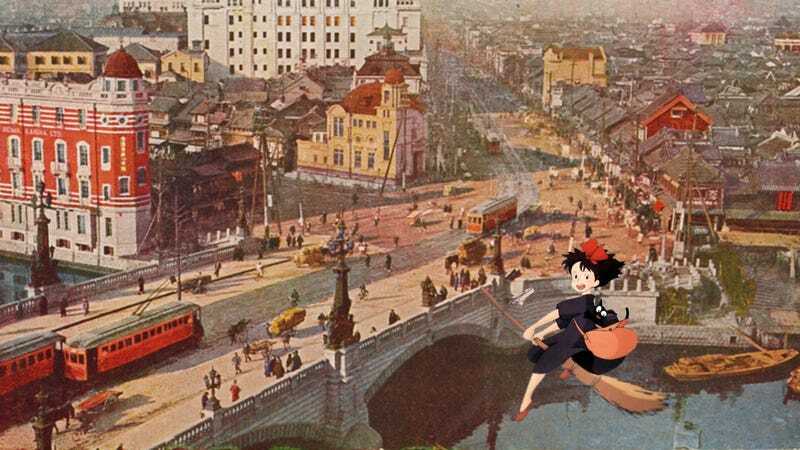 See for yourself if you can imagine any famous Miyazaki characters in the postcards below.